SPRINGFIELD (MA)—Two world class museums—the Basketball Hall of Fame and the Springfield Museums—celebrate Springfield’s Game and the power of collaboration at the Springfield Slam, October 13 & 14. In terms of the game, the alliance between the museums is a slam dunk: powerful and crowd-pleasing. The weekend-long Springfield Slam will feature visits from world champion basketball player Teresa Edwards; renowned children’s book characters The Cat in the Hat, Thing One, and Thing Two; and children’s book author Tish Rabe, who writes a new line of Dr. Seuss books that focus on science. Activities at both museums include hands-on explorations that combine learning with fun. And the weekend is augmented by book giveaways (while supplies last) at both locations. In addition to exciting programing, the Springfield Slam launches the FIRST-EVER COMBINED, DISCOUNTED TICKET for the Basketball Hall of Fame and the Springfield Museums on the first day of the event, Saturday, October 13. Greet this mischievous pair from some of Dr. Seuss’ most iconic books! Get a high five or a hug and of course a photo with this wacky pair. What businesses do your grandparents remember seeing in their city or town? Which businesses are still there today? How have community helpers changed over time? You can pretend to work at Friendly’s or Big Y, dress up as a fire fighter or police officer, pretend to assemble a motorcycle or engine, or sit down and enjoy some Hasbro games. Printmaking is a form of art made since ancient times. Put a modern twist of this classic technique by making prints with basketballs! What textures, designs, and styles can you come up with? Practice your throwing techniques and compete against a friend or family member on an arcade-style basketball game. Up to four players at a time. 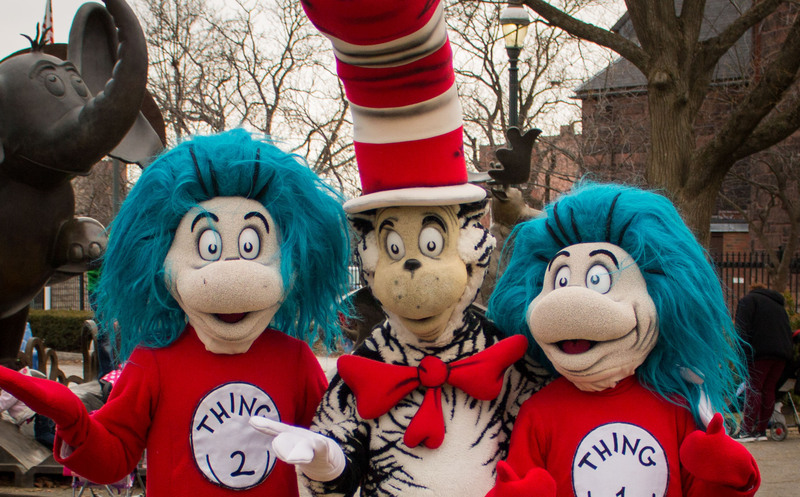 Get a high five or a hug, and get your photo taken with Dr. Seuss’s most famous character! Tish Rabe has written over 160 children’s books for Sesame Street, Disney, Blue’s Clues, Curious George, Huff and Puff and many others. In 1996, she was selected by Dr. Seuss Enterprises to create The Cat in the Hat’s Learning Library, a new line of rhyming science books for early readers. Explore the science of passing, dribbling, jump shots and even slam dunks! How do physics make basketball both harder and easier and what can you do to improve your game? 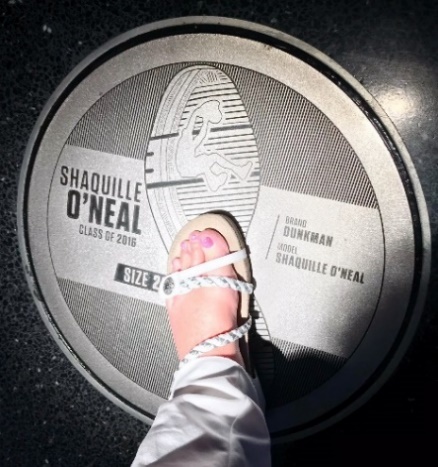 Basketball superstar and most decorated Olympic basketball player Teresa Edwards will engage in conversation with Paul Lambert, VP of the Basketball Hall of Fame, in the D’Amour Museum of Fine Arts, David Auditorium, and take questions from a panel of Springfield youth. She will then head over to the Wood Museum of Springfield History to sign autograph cards provided by the Basketball Hall of Fame.